Wait, did you see it? Chances are you probably missed one of the greatest pranks of all time if you’re a country music fan AND that was the point. If you did happen to see it, which you probably didn’t you might have noticed a street performer, dressed as most struggling street performers would dress. The man’s hair a bit matted almost wig like, and a BNA hat to cover his eyes from the sun. If you did happen to stop and listen to this street performer you might have noticed he was really talented, very tan for winter and only sang Keith Urban songs. You might have even said, he was really good at playing guitar. What 99.9% of tourist didnt’ know was that this talented street performer was none other than Mr. Keith Urban himself. That’s right! Keith Urban, dressed as a street performer, took the streets of lower Broadway to play a few of his hit songs to unsuspecting tourist. Keith Urban only played for a half hour or so until he was finally recognized by a local downtown musician who posted his picture on Instagram. Though, Keith was good before any crazy fan could arrive, the picture and the joke will go down in Nashville lore for decades. Yes, ANYTHING can happen in Nashville and last week Keith Urban kept that spirit of Nashville alive. So next time you are walking down Broadway, take the time to get a second look at the corner street performer. There could be a small chance they are one of your favorite country artist. ** If you ever need a party bus, be sure to call the “HONKY TONK PARTY EXPRESS.” Seating for 5-32, LED dance floor, Bartender, Coolers, Ice and Cups provided. Share Our Video with a Friend! Everyone must be 21 to ride. 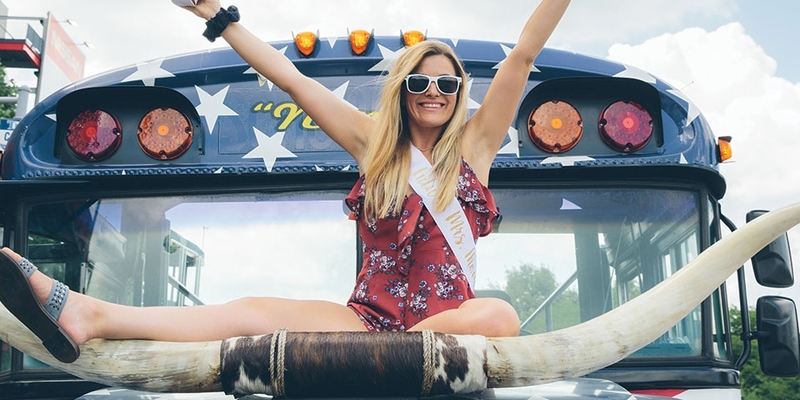 Book your next celebration with the Honky Tonk Party Express and unlock the Topgolf VIP package and reservations. This designation is presented to approximately 10% of total businesses on TripAdvisor that have consistency achieved great reviews over the past year.